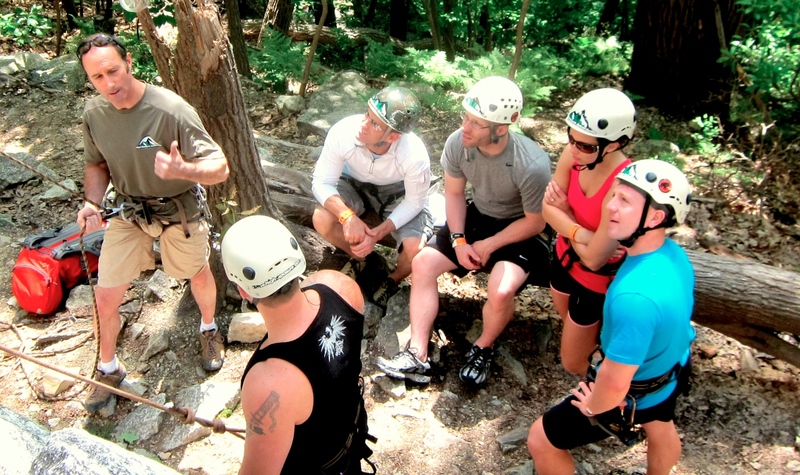 For corporate team building or outdoor adventure, rock climbing is a great way to bring people together. HighXposure Adventures offers day outings for all types of groups interested in being introduced into the vertical environment of rock climbing. Our staff includes Merit Badge councilors who are available to help fulfill Merit Badge requirements. We also work with camp groups from around the area who are interested in a unique day of outdoor adventure. If your company is organizing a corporate outing, a day of team building or trying to create a more cohesive environment amongst your work force, rock climbing is an excellent venue. We have been chosen by US Navy Seals for all aspects of rock climbing training. We hold a SAM registration number, so we can be contracted by any branch of the US military for training. From Boy Scouts of America to US Navy Seals and everyone in between, choose HighXposure Adventures for all your climbing needs. HighXposure Adventures Inc. has been an AMGA accredited guiding service since 1986, when the accreditation program was established. © HighXposure Adventures Inc. All rights reserved.